When the weekend rolls around and you’re mentally and physically exhausted from the work week, a night out is in order. 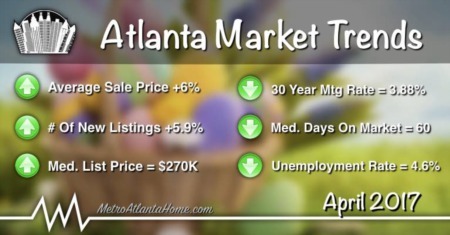 In the past, residents of Brookhaven and other North Atlanta areas had to brave Buckhead or Midtown traffic to find suitable places to enjoy their evenings. Not anymore. 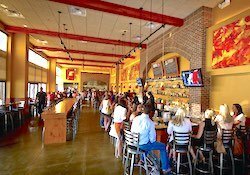 With the recent real estate boom in Brookhaven came an influx of new restaurants and gathering places. From sushi to Southern, what follows is a list of the best restaurants in Brookhaven. If you’re looking for a restaurant that can easily transition from cool winter to hot summer, look no further than Noche. 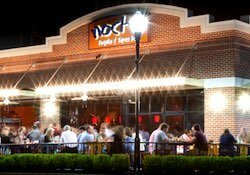 Originally a Virginia-Highland staple, Noche opened in Town Brookhaven a short while ago and has garnered rave reviews. Open for lunch, dinner, and beyond, Noche boasts a large menu of tapas including tacos, salads, and plenty of Spanish favorites. Their margarita is famous, as well, and pairs well with any small plate. Perhaps one of the best features of this Brookhaven restaurant is the large outdoor area, complete with an indoor/outdoor bar. If you find the weather too cold, however, the décor indoors won’t disappoint. Exposed brick walls, impossibly high ceilings, and open piping will make you feel like you’re in the city without spending hours in traffic. 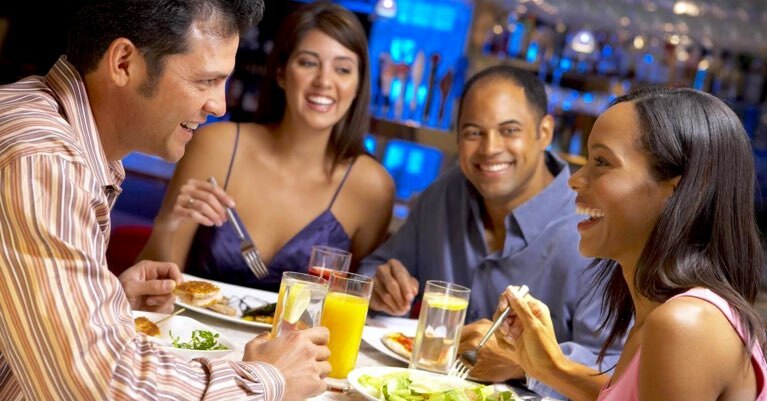 So head on over to Town Brookhaven, and spend your weekend nights at one of Brookhaven’s most popular eateries. If you’re looking for one of Brookhaven’s most popular restaurants, Kaleidoscope is it. Originally, and successfully, designed to be a neighborhood gathering place, Kaleidoscope serves global comfort food, from house made pimento cheese to salads, unique sandwiches to small plates. Asian, Southern, Italian - no matter what style of food you’re in the mood for, you’ll find something at Kaleidoscope. Whether you’re searching for dinner, lunch, or weekend brunch, Kaleidoscope has a menu customized to suit. The drink menu is extensive and always available, and the customers are friendly and talkative. 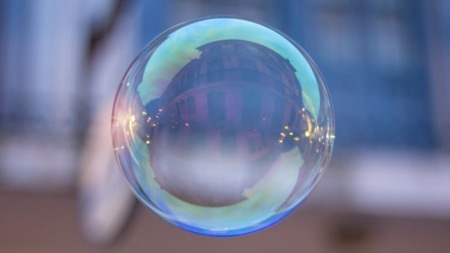 Looking for a social way to spend a weekend evening? 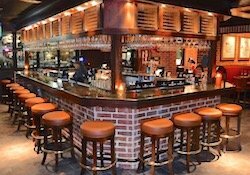 Check out Brookhaven’s own Kaleidoscope Bistro & Pub located at Village Place Brookhaven. Since 2009, Verde Taqueria has been a Brookhaven staple. 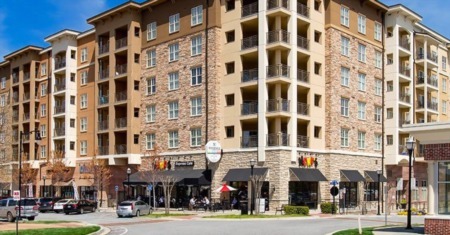 Walking distance from popular Brookhaven neighborhoods Ashford Park and Brookhaven Village, Verde is a local hotspot, especially in the evenings. 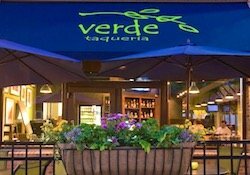 A perfect lunch and dinner option, Verde boasts a large array of tacos, each with its own unique taste and made with only fresh, local ingredients. If tacos aren’t your thing, there are salads, soups, appetizers, and quesadillas to tempt your appetite, as well as a full bar. Try one of their numerous margaritas, all made fresh to order. Verde has been featured in several local publications and has received rave reviews all around. Spend a summer evening on the large patio or spend a rainy afternoon conversing over drinks and guacamole. Whatever atmosphere you’re looking for, Verde delivers. Is there anything better than an old-fashioned pub? Probably not, especially one with the kind of character and menu that Olde Blind Dog Irish Pub has. 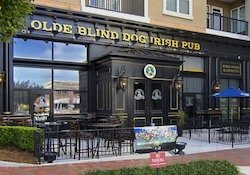 Located in popular Town Brookhaven, Olde Blind Dog provides classic pub food with a gourmet twist: curry & chips, deep-fried pickles, & Guinness onion soup are only a few of the unique offerings you’ll find on the menu. Join them for lunch, dinner, and weekend brunch, and enjoy the ornate wall carvings, stained glass accents, and cobblestone paths. You’ll truly feel as though you’ve been transported to a street in Ireland, so pack your bags and spend the weekend abroad at one of Brookhaven’s best Irish pubs. Feeling like a little Mediterranean food? 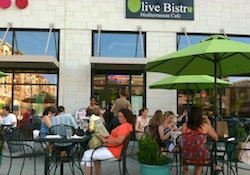 Look no further than The Olive Bistro, Brookhaven’s premier Mediterranean restaurant, located in Town Brookhaven. The traditional fare at The Olive is bought locally and made fresh every day – the owner guarantees. All of the offerings, from the hummus to the tomato sauce, come from family recipes, so you know you’re getting only the freshest and most authentic Mediterranean food. 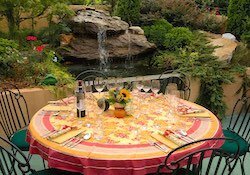 Lunch, dinner, delivery, catering – spend a leisurely lunch hour or late dinner relaxing, drinking some wine, and enjoying delicious, traditional Mediterranean food. 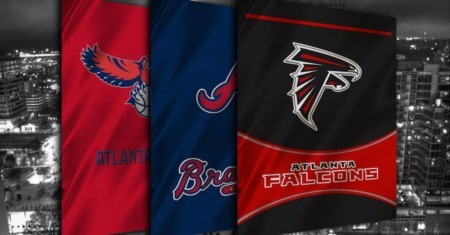 This is Atlanta, a city with no limit of Southern cooking. Smash Kitchen & Bar, however, is different. Think classic Southern food with a modern, sophisticated twist; steaks, salads, burgers, and Southern delicacies such as fried green tomatoes, deviled eggs, shrimp & grits, and coleslaw. Located in the bustling Town Brookhaven, Smash Kitchen is open for lunch, dinner, and weekend brunch. The décor echoes the food, with classic Southern touches such as slate flooring, ornate chandeliers, and antique wood furniture. Sit awhile at the large bar and enjoy one of Smash’s signature cocktails or reserve a private dining room for the full experience; whatever your choice, you won’t be disappointed with Smash Kitchen & Bar. Some weekend nights call for sushi, and there’s no way around that. But instead of traveling all the way to midtown, dealing with traffic, paying for parking, and ending up incredibly stressed and tired before dinner even begins, try The One Sushi Plus in Brookhaven. Open for a few years now, The One prides itself on being modern and relaxed, yet upscale. With both traditional Japanese favorites and bold innovations, you’re sure to find a plate you’ll enjoy. Each item is made fresh daily with local, seasonal ingredients. Even better, the menu is frequently changed, so dining out becomes a new experience every visit. Don’t forget the dessert menu, where you’ll find a miso brownie cup, sticky toffee cake, or a green tea crème brulee. 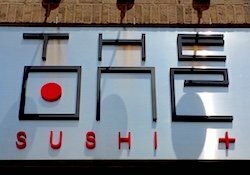 So if you’re looking for a dining experience that will feel upscale but is close to home, The One Sushi Plus is your Brookhaven choice. 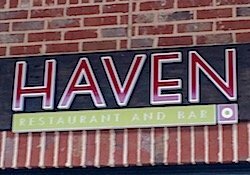 Located on Dresden Drive in Brookhaven, Haven Restaurant & Bar is an upscale American eatery with classic design and menu touches. Seafood, salad, and steaks dominate the small but well-defined menu. Brunch is available during the weekends, as well, and there is an extensive wine list, complemented by the wall of wine, each bottle chosen from America’s top vineyards. The menu changes seasonally; Haven is dedicated to bringing its customers the best, locally sourced ingredients, which means a dining experience every time you visit. So if you’re undecided on Friday night dinner, choose Haven – a classic representation of American food. For many years, Terra Terroir has been nestled on Peachtree, unassuming in a strip mall across from the Brookhaven MARTA station. However, don’t let appearances fool you. Defined as a New American Bistro, Terra Terroir transports you to the country with its rustic menu and classic décor. From salads, sandwiches, and small plates available for lunch to a fine array of appetizers and upscale, locally sourced entrees available during dinner hours, this popular Brookhaven restaurant leaves its patrons wanting little. The wine list is impressive and well-known, so much so that there is an in-house Sommelier. Give this undiscovered hideaway a chance and spend your evening at one of Brookhaven’s hidden gems.